César Mejías (center) together with the other award winners. 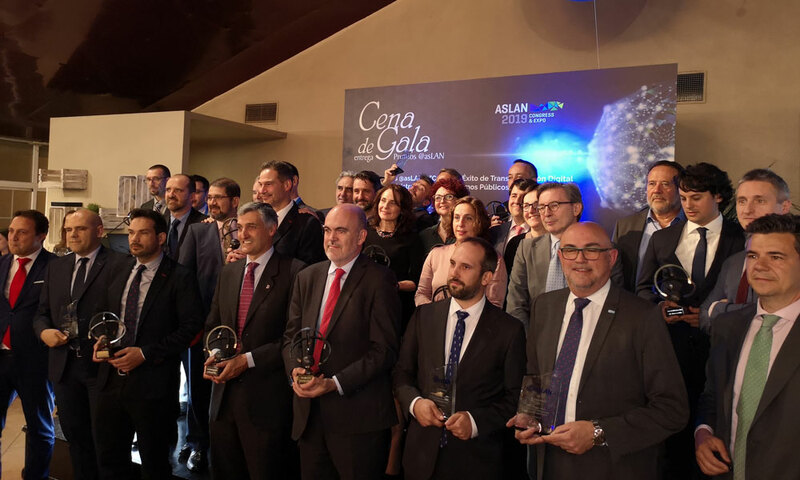 The professional association @asLAN has presented Cesar Mejías, the Head of Garrigues’ Technology Department, with an award in recognition of his “professional career as a CIO in the private sector” at the Directivos que Impulsan la Transformación Digital (Managers driving Digital Transformation) awards ceremony held in Madrid on April 3. These awards, now in their 8th year, seek to highlight and share client experiences in which technology has played an essential role in creating business value or has generated a clear competitive advantage. For Garrigues, technology is a means to enhance client service. Among other initiatives, tools are used to help streamline processes and improve efficiency and competitiveness, with the ultimate aim of enabling us to dedicate more time to value added work, client collaboration is enhanced through technology, and access to the knowledge of the firm’s professionals is facilitated using digital technology.